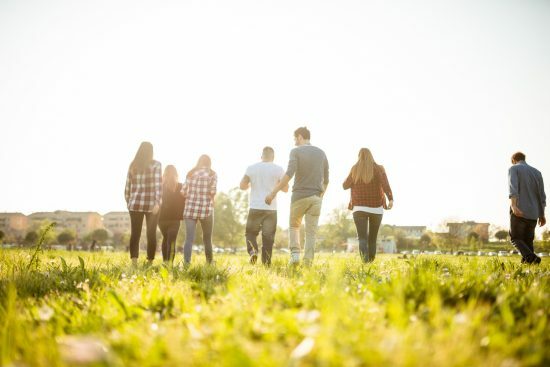 Horizon Family Solutions’ family assessment services help families identify a students level of academic and social functioning, special strengths, unique talents, as well as what may be needed to assist your child, adolescent, or young adult reach their full potential. Horizon Family Solutions provides out types of assessments: Career and Aptitude Assessments, OCD Assessments and Evaluaitons, Psychological Evaluations, and Substance Abuse Assessments and Screening. Career and Aptitude Assessments give you a sense of your personality preferences: where you get your energy, how you like to take in information, how you make decisions, and what kind of structure you like in the world around you. While these preferences can certainly point to careers that might suit you well, they can also give you a lot of valuable information about what kind of workplaces might be best for you, what your working preferences are, and how you can best relate to others at the office. People and jobs can be categorized into six different types: artistic, conventional, enterprising, investigative realistic, or social. Coaching /Mentoring Service Assessment for those in need of additional support before considering out-of-home placement or upon returning home after residential or wilderness. Addresses communication, daily-living, and social needs while in the community. Coaches and mentors may be able to assist with addiction issues, anxiety and depression, “failure to launch”, mental health struggles, self-esteem, self harm, as well as difficulties with job performance, relationships, and school. OCD Assessments and Screenings help determine whether you might have the symptoms of OCD (obsessive-compulsive disorder). Horizon Family Solutions provides recommendations to experienced and licensed professionals who are passionate about helping individuals. Psychological Assessments are administered by a licensed psychologist that uses a combination of techniques to help arrive at some hypotheses about an individual and their behavior, capabilities and personality. Horizon Family Solutions provides recommendations and this can be arranged at your home, in our office, in treatment settings, or wherever may best meet your needs. Substance Abuse Assessments and Screening are a preliminary evaluation that attempts to determine whether key features of drug abuse are present in an individual. Screening indicates whether the problem of drug abuse is likely to be present. Assessment is a thorough evaluation designed to definitively establish the presence or absence of a diagnosable drug abuse problem. The results of the assessment also suggest what is likely to be the most appropriate type of treatment when drug problems are evident.OCD Assessments and Evaluations.